Each March ushers in spring and National Nutrition Month! This annual celebration of nourishing the body through food began with the presidential proclamation of National Nutrition Week in 1973. This year’s theme is Go Further with Food, which encourages us to achieve the benefits of eating well while reducing food waste. In other words, planning and managing food resources will save both nutrients and money! The message of eating well while saving money is particularly close to my heart, and who doesn’t want more money in the bank? 1. Plan ahead! Some people spend an afternoon preparing food for the week. My weekends are too busy for this, but I still manage to plan at least 1-2 days ahead to prevent splurging. This means I eat better and spend less on food! 2. Visit the grocery store more often. This seems counterintuitive, but shopping more often means you can purchase less at a time, have fresher food on hand, and waste less food. 3. This may be the easiest change to make: Think about what you already have in the fridge before purchasing at the store. This deters spending more and prevents food waste! 4. Eat only until you’re satisfied. Overeating means spending more calories and money over time. Instead, portion out how much your body needs and slow down! 5. Fuel properly. Being active is important, so fuel your body with a wide variety of foods to go further. 6. Think about alternatives to more expensive foods. Usually, the most expensive choices are animal proteins and out-of-season or exotic produce. Consider vegetarian protein choices, such as legumes, whole grains, eggs, and low-fat dairy. Likewise, choose fruit and vegetables that are in season, or choose frozen or low-sodium canned options. Some fruit, such as pears, are available year-round for a delicious, nutritious option! With a little forethought, you can go further with food. Visit the Academy of Nutrition and Dietetics for more ideas! Want more ideas? 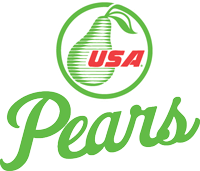 Check out delicious, heart-healthy recipes at USA Pears! This entry was posted in History/Information, Nutrition and tagged breakfast, culinary, dinner, health, Nutrition by Amy Kweller MS, RD. Bookmark the permalink.